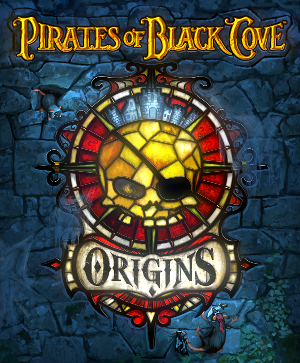 Pirates of Black Cove: Origins DLC out now! The first expansion to Pirates of Black Cove is released! Pirates of Black Cove: "Origins" takes place in the days before the Black Cove faction was founded. Assume the role of the legendary Captain Grog - the bad to the bone pirate who grew tired of losing the most valuable treasure ships to the united pirate clans. Being outnumbered against the pirate union, Captain Crog decides to plant seeds of betrayal among the pirate clans in order to get them to fight with each other. After the successful separation of the pirate alliance and the new-found union with the dark forces of the Forgotten Isle, he then forms a new faction � the Black Covians.